Welcome to the Institute of Immunology! 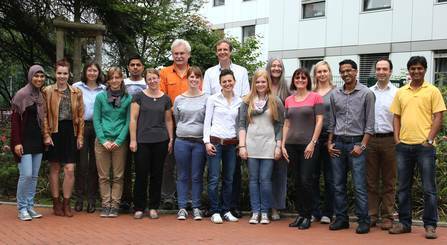 The institute of Immunology within the University Clinic Essen is a basic research institute. It focuses on molecular and cellular immunological mechanism which can influence the outcome of human disease. This includes immunopathology occurring during autoimmune disease, infectious disease, tumor disease and transplantation. To find such mechanisms we use several immunological models and analyze human patient samples for certain markers and gene polymorphisms.